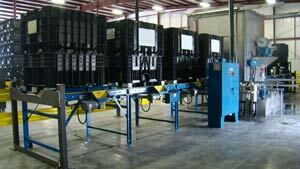 At InLine Cleaning Systems, we provide manufacturing and industrial production with aqueous cleaning systems. Our industrial parts washers are available in single-stage, two-stage or three-stage models that can be integrated into a production process. Each one of our industrial washers is mobile and adaptable to accommodate changing manufacturing processes and cleaning needs.